The 60-year-old destroyed roughly 3,500 mines before one took his life. BEIRUT – Ahmad Muhammad al-Na’sani was haunted by thoughts of his death long before he died. As a volunteer land mine removal expert in Aleppo’s countryside, he felt his life would end every time he discovered an explosive device. After destroying nearly 3,500 explosives, al-Na’sani, known as Abu al-Fadl, was killed on May 8 while taking apart a land mine left behind by the so-called Islamic State. In April, just days before he was killed, Abu al-Fadl spoke to Syria Deeply about his work dismantling explosives in al-Bab, a former militant stronghold in the eastern Aleppo countryside, where an estimated 15,000 land mines are believed to have been left behind by ISIS fighters. The 60-year-old father of five, who lost two of his children during the war, used to teach at the military academy in Aleppo and specialized in explosives. When he set out on his own to defuse land mines, he noted that much of his work focused on understanding the creative ways ISIS makes and hides its bombs, which are often disguised as rocks or propane tanks. “I have found explosive devices hidden inside washing machines, in vacuum cleaners, under couches and in bathrooms,” he told Syria Deeply. By placing explosives in residential areas, he said, ISIS is intentionally targeting civilians. “The majority of victims of these devices are children,” he said. Earlier this year, Abu al-Fadl was injured by an ISIS land mine in Akhtarin in northeastern, rural Aleppo. Nearly 20 pieces of shrapnel penetrated his body and he suffered severe burns to parts of his face. The explosive also hit Ahmad, a 12-year-old boy who suffered serious injuries to his abdomen, arm and leg. Abu al-Fadl believed it was a was a miracle he survived the explosion. Hundreds of people are killed by land mines in Syria each year, in a crisis that is only getting worse. The International Campaign to Ban Landmines reported that 864 people were killed in Syria by land mines and other explosives in 2015 alone. Since then, the number has increased significantly, because ISIS has littered territories it has lost with land mines and other explosive devices before withdrawing. Explosives were a “major protection concern” in 88 percent of subdistricts surveyed in Syria, according to the United Nations’ 2017 Protection Needs Overview. Demining former ISIS strongholds, however, is not an easy task, Abu al-Fadl said. ISIS has used mines as a way to continue terrorizing a population even after it has been pushed out of the area. The Syrian Democratic Forces, an alliance of Kurdish and Arab fighters fighting ISIS, also contribute by deploying specialized demining teams to areas they liberate from militants. 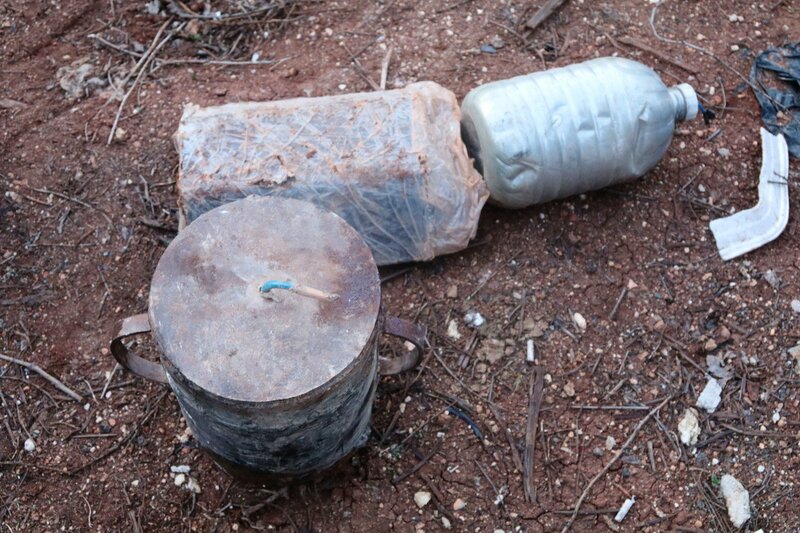 In al-Bab, where Turkey-backed rebels pushed ISIS out in February, the militant group used tactics such as putting two mines on top of each other, to double the impact and ensure that even if one was found and deactivated, the other would still explode. Other devices, including ones with plastic explosives, are very hard for machines to discover. Syrians are dependent on volunteers like Abu al-Fadl because organizations working on the ground in northern Syria do not have the resources or the capacity to solve this problem. “Individual efforts and initiatives are much needed. Every minute of delay results in a higher number of victims,” Abu al-Fadl said. 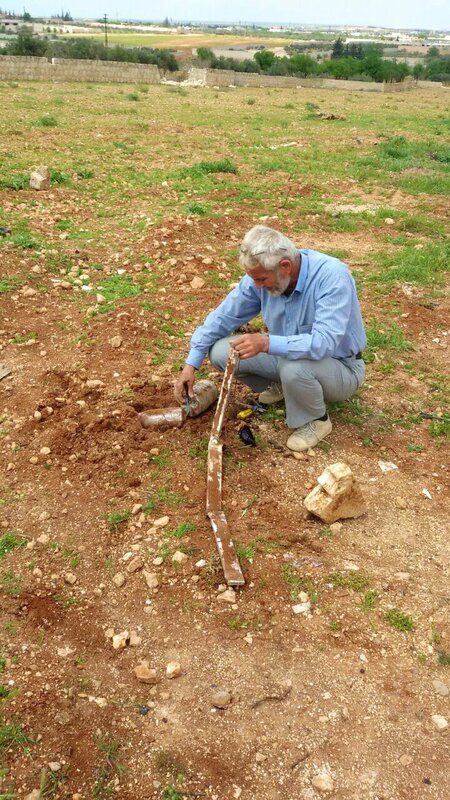 The volunteer-based Syrian Mine Action Center (SMAC), for example, has received at least 11,000 reports of areas contaminated with explosive devices in rural Aleppo, northern Hama and in Idlib as well as its countryside, but the organization does not have the resources to deal with such a huge number of notices, according to the center’s managing director, Ahmad Nasif. The SMAC has received some assistance in the past from international partners who have provided protective clothing, advanced mine detection equipment as well as training for the center’s staff, says Nasif, adding that these contributions have helped the SMAC improve the quality of its operations. The SMAC is also trying to compensate for its limited resources by raising awareness, distributing brochures, holding symposiums for local councils and schools, and placing warning signs in areas expected to have explosive devices. It addition, the organization has a rapid response team that works around the clock responding in areas that have been hit with cluster bombs or unexploded shells. “Our programs work on five levels: support, raising awareness, helping victims, defusing explosive devices and destroying inventory,” Nasif said. Meanwhile, volunteers like Abu al-Fadl continue to risk their lives to help clear contaminated territories. “As long as I can still breathe, I will continue to work on saving other people’s lives,” he said, only weeks before his death.